Kevin Bermeister on Israel's indigenous record through the lens of Jerusalem, archaeology or emerging events. 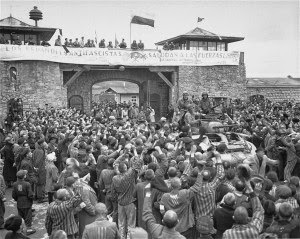 Holocaust survivors one day after liberation in May 1945. Photo: National Archives and Records Administration. Participants in a lively discussion became polarized around the meaning of “Team Jewish”. Did it include those members of Israel their nation? Was the concept sufficient to incorporate all who consider themselves members of the tribe? And what about Jewish continuity? I began to reflect - what does belonging to “Team Jewish” actually mean for the culturally diverse, some of whom cling to the thinnest of assimilated threads? Notwithstanding attempts by Jewish establishments to accommodate the estranged, orthodox, conservative and reform, organizations aggregate their communities under the Team Jewish banner. However, some follow no religion at all and many don’t know or don’t admit to being Jewish. The immediate assumption among conversation participants was that every member of the tribe is a member of “Team Jewish”, but that convenience didn’t cut it for me. That would make one mighty big unmanageable team and certainly members from the strictly orthodox league would not play on the same field as conservatives, reformers or abstainers. According to their rules some may not even be Jewish! What exists in the annals of Jewish history that had kept this fledgling nation alive and strengthened it through the most difficult challenges to rise and rise again? Something had to fit with the “Team Jewish” ideal that would accommodate all its members whether or not they agreed with each others practices. The notion of automatic player admission to “Team Jewish” simply would not fit. Perhaps a broader “Club Jewish” concept would work, but who would select the team? Unifying Jewish opinions for team selection would be impossible, it would lead to more segmentation and would certainly do more harm than good. For the most part cultural Judaism in its multiple forms through its various organizations is a club anyone can join. Club-Jewish may fit the mold for diversity, but the club constitution and team selection would remain problematic. Many inconsistencies are imbued through different Jewish practices, some are cultural others more technical, but one remains stoically entrenched and central to each sub-community - the Torah scroll at the front of their clubhouses, written in the same millennial tradition. My search continued deeper and deeper looking for something that could resolve the problem of team selection, then it struck me. At first I thought the idea is so removed from reality, that it just wasn’t possible, but that led me to the exact place that resolved the problem. A Kabbalistic concept that has forever produced selection of “Team Jewish” and it’s brilliant! Opinions vary about the number of members that constitute the team, but this minor detail should not get in the way of the establishment as most views converge. Team Jewish are the super-Jews, Tzadikim Nistarim (Hebrew: צַדִיקִים נִסתָּרים) the "hidden righteous ones". This elite group of 36 Jews exist in the world at all times, without them the world would fall. Any Jew can be selected for team-Jewish, but no-one ever knows exactly whether they’ve been selected - could be you! You may not know it and neither would anyone else, but “Club-Jewish” can be assured of the presence of these special team members at all times. Despite the occasionally rowdy membership, Club-Jewish has survived because of its magnificent team who blitz the competition in every game. These pillars, on which the world stands silently blaze their brilliance every day, whether in business, science, the arts, religion, charity or politics this team keeps Club-Jewish in business for the benefit of its members. It reminds me of a rhyme some of my childhood friends used to say, modified here ever so slightly - ‘Jesus may save, but Team-Jewish always score on the rebound!’ Now that's a team any self-respecting club could be proud to support. In this supernal image Club-Jewish settles the score to proudly unite its membership behind its magnificent team who humbly go about their silent business. Everyday they tackle, defend, attack, pass and score. As Club-Jewish members increasingly recognize, respect and regard the diversity of their multitudinous culture and settle back to barrack their team, the home ground advantage of their Jewish nation state will continue to pay it handsome dividends. The Hebrew calendar is unusual because Nisan is the first month, associated with Passover or Pesach the holiday of redemption. But, its opposite end, the sixth and seventh month, Tishrei is the Jewish new year including at Passovers opposite, the holiday of Sukkot. Kabbalah teaches equal in opposites, so I look to Sukkot to see what we can learn about Pesach. There is teaching that the lower feminine waters (of the Gihon Spring) complained to God, “We, too, want to be close to You!” God consoled them, saying, “There will come a time when you, too, will be close, when your waters will be poured upon the altar during Sukkot, to celebrate.” At Sukkot the Levite priests sang spiritual songs that kept Jerusalem wide-eyed till dawn as they stood upon the “fifteen steps of descent from the Israelite courtyard to the women’s courtyard, that correspond to the fifteen ‘Songs of Ascents’ composed by King David. But, the priests descended those fifteen steps? Rav Chisda asked “a certain rabbi” why King David composed these fifteen Songs of Ascents to begin with. The rabbi replied that when King David began excavating the foundation of the Temple’s altar, the waters of the subterranean deep rushed upwards and threatened to engulf the world. Then, King David composed fifteen Songs of Ascents, and the depths safely subsided. If so, Rav Chisda protested, why are they not called Songs of Descent, to reflect the subsiding waters. Replied the anonymous rabbi, this is what occurred: When the deep surged upwards, King David thought to inscribe God's Name on a piece of earthenware and cast it into the waters. His teacher, Achitofel, ruled it permissible reasoning; if according to Torah, for the sake of matrimonial harmony, God commands us to write His Name on parchment and to erase it by placing it into a container of water for an alleged unfaithful wife to drink and redeem herself, then it is certainly permissible for King David to cast the divine Name into the surging waters to bring peace to the entire world! King David immediately wrote and cast The Name into the waters, which then subsided sixteen levels. Surprised, the King realized the earth’s irrigation would be reduced, so he voiced fifteen Songs of Ascents that brought the waters back up to a safe and desirable level. In his commentary on the Talmud, Maharsha adds that the divine Name King David wrote was with the letters Yud-Hei, which equates the numerical value fifteen. The Name is associated with the final redemption of the Jewish people. 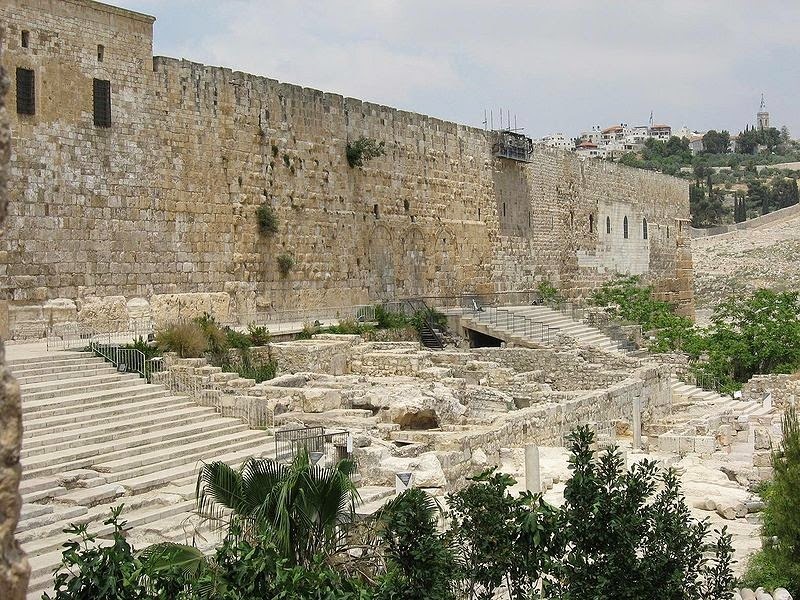 The two priests who descended these steps on the way to draw the water on Sukkot would pause on the tenth step, to divide the steps in two parts, ten and five, corresponding to the Yud (ten) and Hei (five) respectively. Maharal quotes the verse from Isaiah 26:4, “For in God (Yud-Hei) is the strength of the worlds.” Our sages stated that all creation comes into being via these two divine “letters,” Yud and Hei. These letters comprise “form” that comes from the Yud, and “matter” that comes from the Hei. These reflect the spiritual worlds united with the material. This, then, is the Kabbalistic secret behind the fifteen Songs of Ascents corresponding to the Temple steps that directed people to the higher world, from the more material, “feminine” women’s courtyard, toward the more spiritual, “masculine” aspect, the Israelite courtyard and ultimately the exclusive domains of the high priests. When a redeemed Israel left the clutches of Egypt (Mitzrayim ) they first journeyed through the lowest waters, the bottom of Yam Suf meaning Reed/Red or some say Sea at the End where they cast their souls, comprising God's name, into the waters and from where they ascended as a nation. Each year Jews the world over renew the months that will follow by ascending through 15 steps of the Pesach seder (the Passover meal). They pause after the tenth step during which they remember eating the pascal lamb sacrifice in the holy Temple in Jerusalem. Then, they begin the last of five steps with the festive meal of the seder. From the digestion of the holy Pesach meal, their bodies are infused and elevated. Six months later they descend 15 steps at Sukkot when they unite the Lulav (Palm) and the Willow branches with the lower waters. Then their meal is eaten in the surrounding of the Sukkah, the natural hut Jews live in during that week each year. Christians tied Easter to Pesach and Jews dedicate the water festival of Sukkot for all the nations. We are living in the years considered to be the millennial hour, the time of transition, at the doorstep of Moshiach (Mesiah) and Israel's final redemption. The 15 steps of the Pesach seder compliment Sukkot’s 15 holy steps of the Temple. With the realization of this inner beauty, perhaps we will live a peace that is the Jewish dream. Then those who live and celebrate in Jerusalem will no longer need to utter the Seder's concluding words "next year in Jerusalem"! 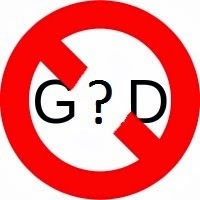 Is "God” your diminished substitute? In Jewish written tradition “God” does not exist, any use of it is borrowed from a foreign language. The bleeding influence of international culture and language has distorted Jewish thinking and left many with misunderstandings of their culture and religion. Nowhere is this more evident than foreign language texts that have diminished the highest supernal order - “The Name” - “HaShem” - “יהוה” - the unpronounceable Tetragrammaton. The confusion is mired because “The Name” is also Judaism’s indistinguishable reference to “Without End” - “Ein Sof” a term for The Infinite. However, ancient Jewish offshoots and early Christians who translated the Bible, conveniently collapsed these confounding complexities in the theistic term that became “God”. Since the printing press Jews progressively lost touch with their holy Hebrew tongue allowing their anti-theology to infuse with Christian and Islamic catch-all terms. This obfuscated important Jewish distinctions made in the origin Biblical text incorporates essential, albeit diminished spiritual forms intrinsic to and emanating from “The Name”. As Jews lost touch with these concepts Jewish assimilation increased, usually among progressive thinkers willingly exploring new nation languages and cultures. Although the “God” reference has become widely accepted, it has different meanings to different cultures. I once asked a Christian friend whether he prays to the same “God” that Jews pray to, adamantly he replied - yes, of course! But, I often wonder whether concepts of “The Name” have truly been lost on prayer-filled communities devoid of intellectual understanding who emotionally pray to their deity. Then I begin to question what good comes from it? I’m not talking about the good communities who gather and make efforts the world over to support or initiate many helpful causes, I’m talking about the quality and benefit of their meditative practice. Since the destruction of the Jewish temple the absence of devout holy practice promoted rushed forms of worship with compromised benefits. The ladder of Jewish prayer to unify the Names of spiritual entities with and in “The Name” is a ritual meditation that once occupied priests each, entire day. But, millennial transformations now ensure many Rabbi’s are on their errands after 30 minutes and on the Sabbaths a few hours at most. Nevertheless, within these modern windows of time, a serious practitioner can make a huge, positive and meaningful impact to their outlook and function in society. One cannot expect to obtain the benefits of Jewish prayer when they are confounded by the influences of other teachings. Its correct practice will open the mind of the practitioner enabling the flow of Wisdom. To some this may sound like a familiar Buddhist theme, but the path to Wisdom is a wisdom and one must choose before beginning the journey. If you have chosen Judaism to access your innate wisdom, beware of the foreign influences that would otherwise divert you and diminish your experience. “The Name” is the source of Its Wisdom and Its Emanations are the ancient holy Hebrew language Torah or Bible. There is no substitute! Participation in Jewish liturgy is no easy accomplishment, for many it’s a practice of absorbing meditations that infiltrate every aspect of daily life. Every wakeful hour is accounted and the regimen for the devout well documented. The practitioner can opt-in or out of any or all to their direct benefit or detriment dependent on their personal level of satisfaction. For new practitioners, those who were not born to religious families or the religious who are dissatisfied I highly recommend you consciously discover or re-discover Jewish meditation. For many this aspect of Judaism is hidden and it will take some effort to reveal, but it can be re-discovered and is easily accessible through a simple beginners book like Jewish Meditation. If “God” is substitute for “The Name” remember Its manifestations are the only existence for Jews who are about to celebrate their national monotheistic ritual. Pesach or Passover marks the conscious recognition of and exit from foreign influences that disrupt a Jew’s connection to Wisdom. It begins with your effort to understand that which distinguishes “The Name” above all. From this you can obtain concepts of time, chronologically ordered history and the root of Jewish customs, then your existing perspectives may surprise you and new perspectives invigorate your innermost core - a happy and kosher Pesach! Bethel - Cause of Israel's Greatest Disaster? Dueling Altars in Time and Place. Noah - Two Mountains and Chinese Origins!